Wow, another awesome week out here in the mission field! 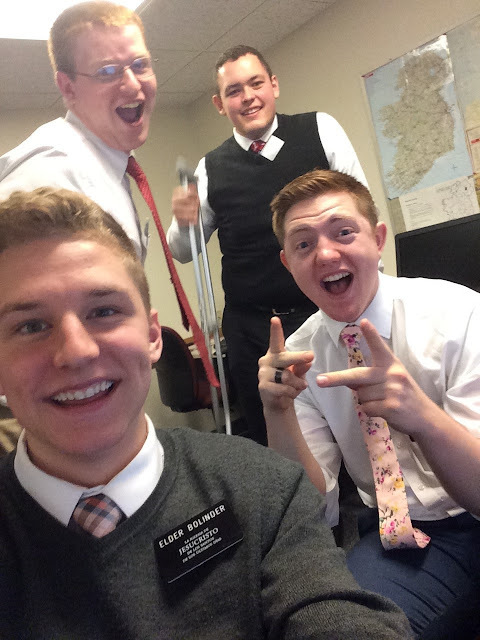 It's crazy to think tomorrow will mark my 6-month mark in the mission. What!?! It has been flying by. This week has been eventful for sure. So, last Monday for P-day we went to the Minnesota State University campus with the Mankato elders to play some soccer. It was a blast, of course, but unfortunately Elder Christensen re-injured his knee so he was in some pain hobbling along the following few days. We decided to go into the doctor's office on Thursday because it kept hurting, and it turns out he tore some ligaments and has to be on crutches for a month! We are absolutely blessed to have a full-time car or else we would be in trouble. Haha! Having to be patient with my companion and hold doors open and carry things for him really made me realize how much I need to be better at actively looking for opportunities to serve others, especially him! Things have been a little on the slower side, but all is well and the work continues! We had a crazy day on Wednesday! At the start of the transfer they combined the Lakeville and Lakeville south zones into one so we are now the biggest zone in the mission. And our zone leaders are up in the cities while we are waayy down south here in St. Peter. So, they decided they would blitz all the teams down here, so they came and stayed the night! 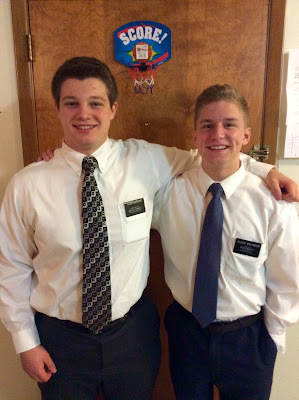 I got to go with Elder Kershaw for the day and he is from Middleton, Idaho! 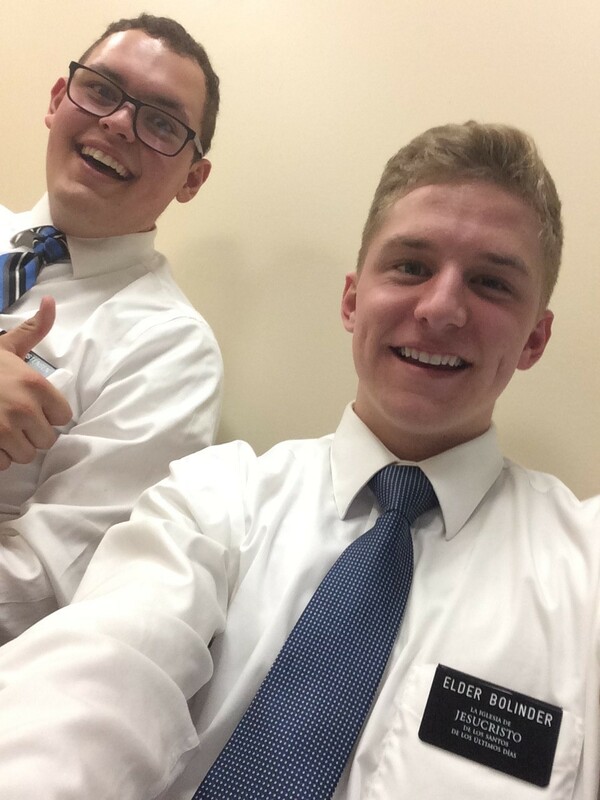 He's an incredible missionary and it was so fun to work with him for the day! 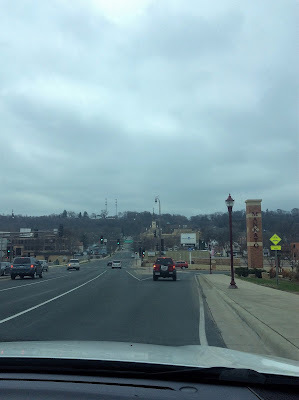 We went up to a small town about 20 minutes north of St. Peter called Le Sueur. Le Sueur has a larger Hispanic population. About time we find some more Hispanic investigators! We started out stopping by some potential investigators up there, and we decided to stop by to visit this guy in our area book named Josue. He lived on the outskirts of the town off of a little side road. We typed the address into the GPS, and we arrived at the destination and turn onto this sketchy dirt road only to find that we were lost in this thick forest and there was no house to be found! We were like, what the heck is this address? But we continued around the bend, staggering over some monstrous ditches in our tiny mission car. All of a sudden we see this giant yellow road-roller coming around the corner! We were so confused haha. ¿¡Dónde estamos!? We asked him if there was a Josue there and he said he wasn't sure but we can look out back. So, we finally find this small house, and it turns out it’s a huge lumber yard! Strangest place a GPS has led me to! Haha! Unfortunately, we couldn't find him, so probably the wrong address. Later that day, we felt inspired to knock on this street in a trailer park in Le Sueur. And on that one street, in less than an hour, we found 3 new Hispanic investigators! Crazy! We also said hi to this teenage guy named Robert walking out to his truck, and he was super nice. We talked to him a bit, and after a brief conversation with us, we asked him if he has met missionaries before. He said no, and we explain what we do as missionaries is help people come closer to Christ through His restored gospel. He then explained to us that he had some humbling experiences in the past two weeks, and since then he "found the Lord" and he's trying to build his faith and learn more about God! And of course, us being missionaries, our faces lit up as we said to him "Well we can certainly help you with that!" 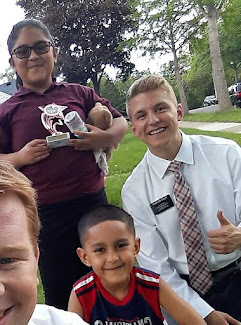 We then explained to him how the Book of Mormon, hand in hand with the Bible, helps us grow closer to our Savior and learn more about his life and mission here on earth. Unfortunately, it started to rain pretty hard as we were talking to him, but we were able to summarize the story of Joseph Smith and the Restoration and give him a Book of Mormon and a pamphlet. He was so excited! We set up an appointment to meet with him next week. It was amazing to see the Lord's hand in the work. 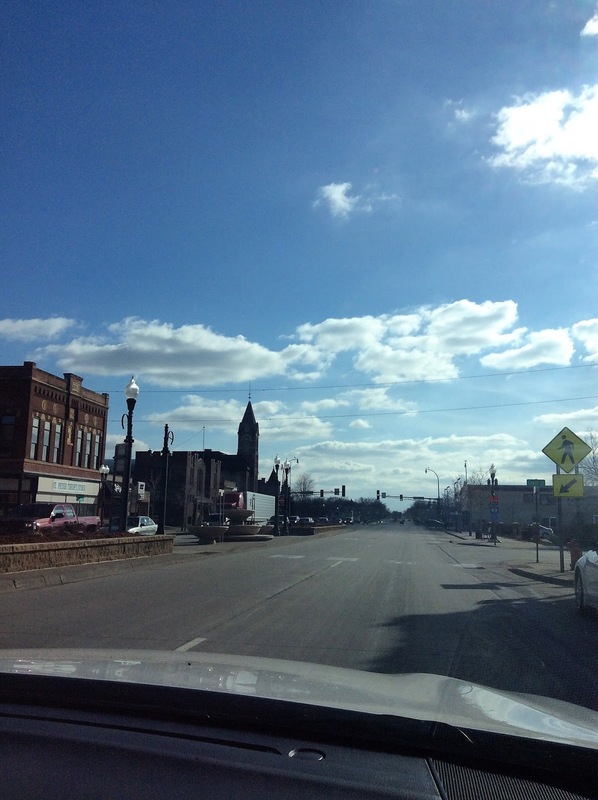 Even though it seemed like a wasted effort to get lost in the lumber yard trying to find Josue, I know that God guided us to be there on that exact street at the right time to meet Robert! I just hope we can reconnect with him next week, because we could tell he had been prepared to receive the fullness of the gospel!